This article is for v6 of GogTasks. For older versions: Version 5 or Version 4 and earlier. 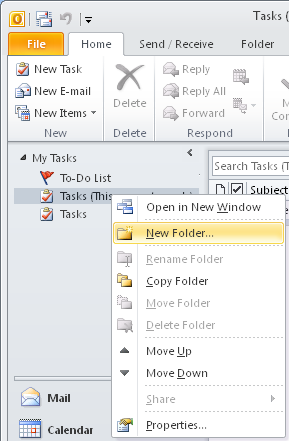 Right click in the task folder pane and select New folder.... Type in a name, e.g. 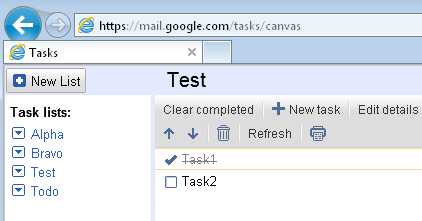 "Test", make sure you've selected "Task Items" for folder type and click OK. Select the new folder and create a couple of tasks. For this test we will only synchronize one single folder, to avoid noise from any existing list of tasks you might have. After you'ce completed the test you may of course revert to default settings if you wish. 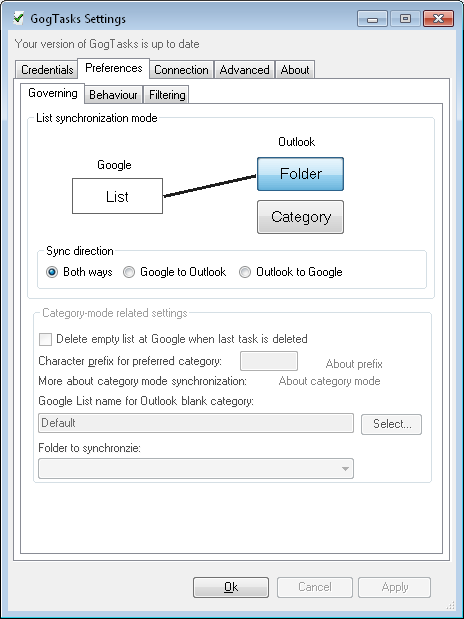 Click synchronize now (button in the Add-in tab for Outlook 2010 or from the Tools menu in Outlook 2007). Verify that GogTasks reports one list and two tasks to be created at Google. Click Commit if that is the case. 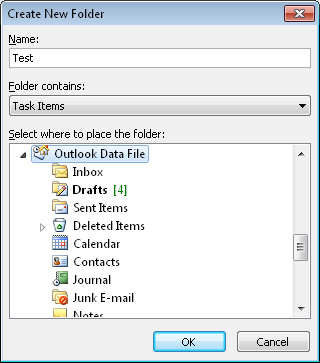 Check that the task(s) you altered are synchronized back and that the Outlook tasks actually have been updated as expected. You may now want to revert to standard settings where you synchronize all folders or a set of selected folders. 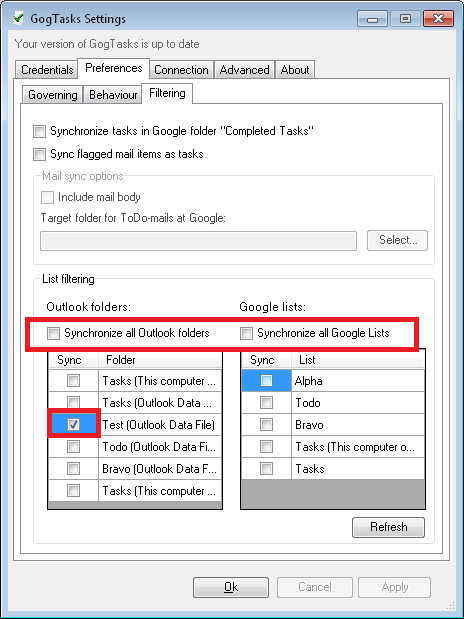 As a side note, you may now notice that in the Filtering tab of the Preferences tab of GogTasks settings, the newly created folder "Test" is now ticked for synchronization also at Google. This is standard behaviour whenever you create a new folder in either of the locations and synchronize for the first time.